How & why I shave my face! 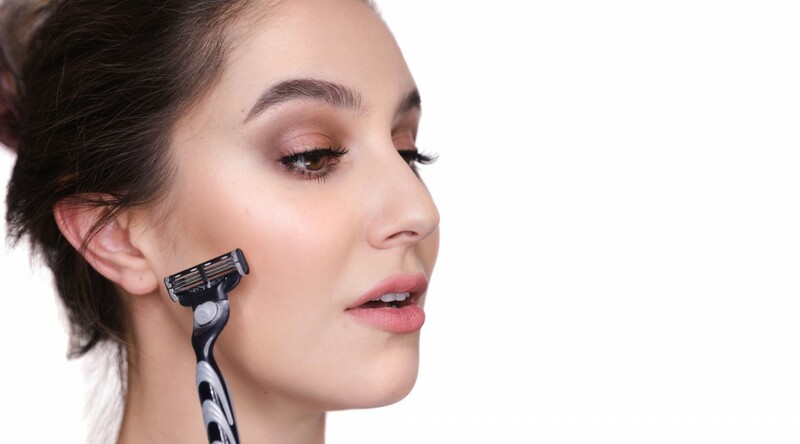 We’re taking a trip down memory lane – all the facial hair removal methods I’ve tried, what worked, what didn’t work and how I currently defuzz my face (and groom my brows!). It’s a different video for me but I had fun making it so hope you enjoy it, too! This video is a collaboration Veet, I only feature products that I love and use myself  Learn more about the Precision Styler here. Have you guys tried shaving? How do you remove facial hair (if you do)? I don’t know why but I could hardly hear you on this video it is the first time and I have my volume up high. I was told a many years ago by a dermatologist that I should shave my face because it exfoliates the dead skin and would get rid of any unwanted peach fuzz. He said it was only a myth that your hair would grow back thicker and with stubble. Even though I believed him I still thought there was a chance for stubble so I never actually went through with it. Karima, you have helped me so much! I’ve taken and applied so many of your beauty tips/techniques/recommendations, and now people are taking beauty advice from me! I always tell them about you and your channel, and basically every time I have a new makeup look, it’s usually one inspired by the videos you do! Nice video. I got to learn a lot from it. Thanks! Thank you so much for this Karima. Likewise I have uber sensitive skin, can’t wax or thread and was under the illusion that shaving promotes thicker darker hair. I’ve learned to live with that hairy caterpillar on my top lip. I’ve just ordered this and will let you know how it goes. A heads up for people in the UK I have just purchased this from superdrug for £15.99 they have a third off veet products at the moment. Another fab review/demo, much appreciated. Yes, definitely let me know how it goes! There are so few options for us with delicate skin 🙁 The other option is electrolysis, which is more in-salon than at home. Yes, I’ve shaved my face and my experience has been quite different. I find that if the hair is coarse, like eyebrow hair, it does come back a bit prickly. Only the fine baby hairs aren’t so noticeable when they grow back. I’ve known a few women to have coarse hair on the chin or jawline and they agree on the texture issue. I’ve had electrolysis with some success and I had a derm perform laser hair removal that lasted a month or two, but I never went back for the follow up treatments. I can also say that the derm who did the laser hair removal also said there is no truth to the hair growing back thicker. Electrolysis is difficult to find these days since everyone’s moving to laser hair removal, but if I could I would get it again for the areas that are growing hair now. Yep, I think I covered this in the video but thick eyebrow hairs on the brow bone are best tweezed. Peach fuzz, on the other hand, is not prone to stubble. Just got my veet after watching your review! My peach fuzz has bothered me for years but I’m so sensitive to waxing and plucking. Can’t wait to try! I may have missed this in my excitement, but how often do you need to shave? ?? Hi. My friend just recently told me about your videos and I have been watching so many and have found them so very useful and informative. Especially this one. I used to thread my hair regularly about 10 years ago until I became allergic to it. I’d get these bumps on my skin. Then tried waxing but it was pricey, painful and time consuming and I too had an irritation to it. So I’ve been shaving, irregularly for years. But I’ve never known anyone else who does so this was very reassuring and useful to find about a better tool. Up until now I’d only used the little razors found in Asian markets here in the US. I did have laser a few years ago for sideburns, a few treatments for Chin And my upper lip And they were the best thing ever as i have hated my unwanted facial hAir in those areas my entire life! But shaving is my go to for keeping at bay unwanted facial hair that still grows as I didn’t finish all the treatments for upper lip and chin. Thanks. Hi. My friend just recently told me about your videos and I have been watching so many and have found them so very useful and informative. Especially this one. I used to thread my hair regularly about 10 years ago until I became allergic to it. I’d get these bumps on my skin. Then tried waxing but it was pricey, painful and time consuming and I too had an irritation to it. So I’ve been shaving, irregularly for years. But I’ve never known anyone else who does so this was very reassuring and useful to find about a better tool. Up until now I’d only used the little razors found in Asian markets here in the US. I did have laser a few years ago for sideburns, a few treatments for Chin And my upper lip And they were the best thing ever as i have hated my unwanted facial hAir in those areas my entire life! But shaving is my go to for keeping at bay unwanted facial hair that still grows as I didn’t finish all the treatments for upper lip and chin. Thanks for talking About this and giving advice on a product to try. Dear Karina, I just discovered your incredible videos today. I’ve been watching them non stop, or almost, non stop… I absolutely adore you. You are so beautiful, but not only yo have a beautiful face but you are a sweet, down to earth and very talented makeup artist. I’m 55 years old…any suggestions for a beautiful makeup for my age ? Firstly, I adore you so much. 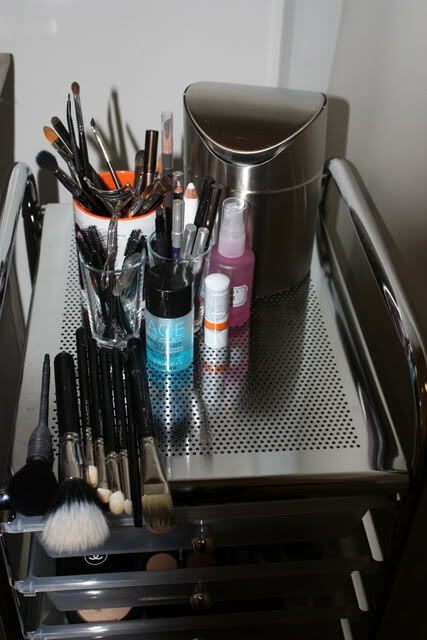 Your eyeshadow tutorials have been such a game-changer for me!